The entrance to the complex. 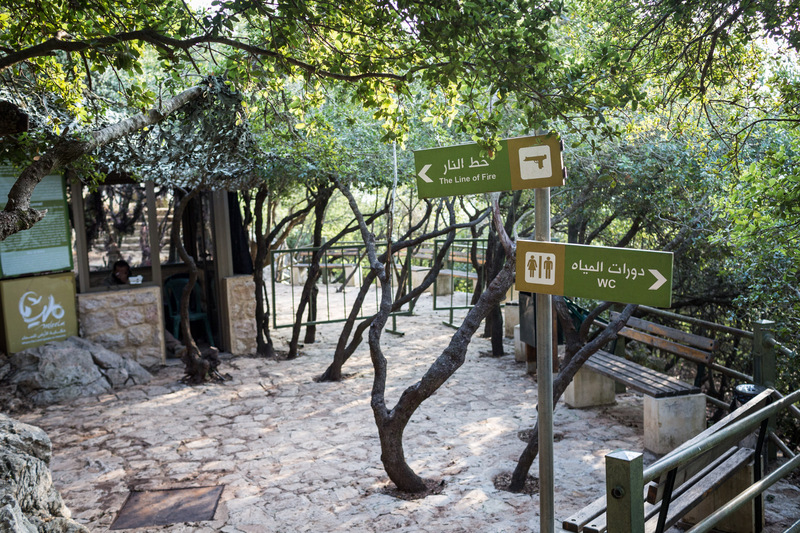 Mleeta is situated in the Lebanese mountains bordering its neighbour Israel in the south. 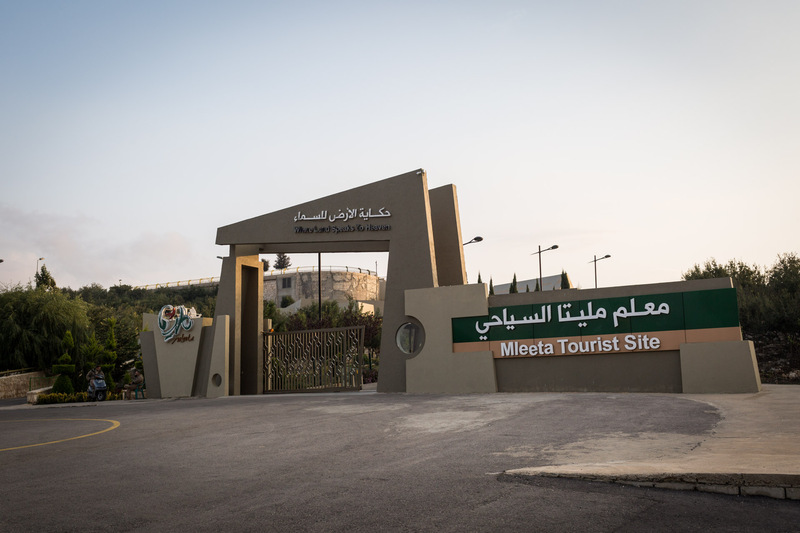 Nowadays the site of Mleeta suffers from a lack of visitors. The flow of people has steadily decreased since the museum was opened on May 25th, 2010. Various facilities, including a big ceremonial hall, can be found on site. 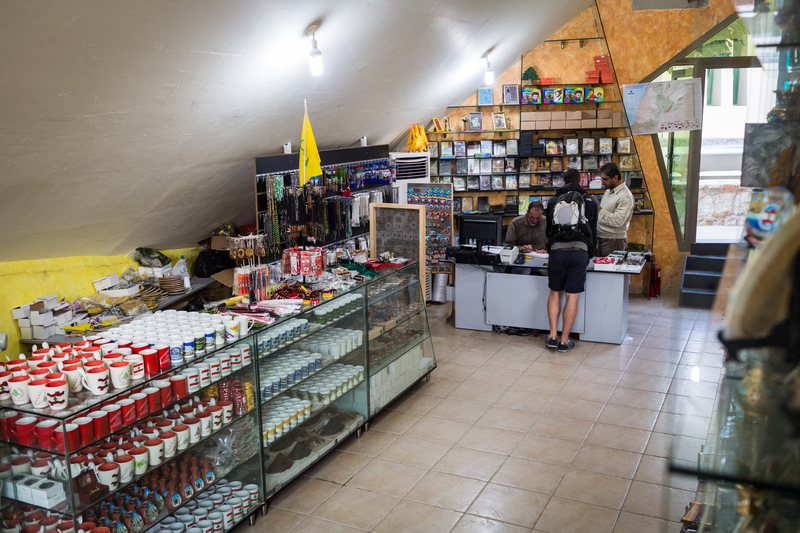 Apart from serving its obvious purpose as a museum, Mleeta also serves as a communication platform for exchange with other Shia parties and guests from abroad for its proprietor, the Lebanese Shia party Hezbollah. 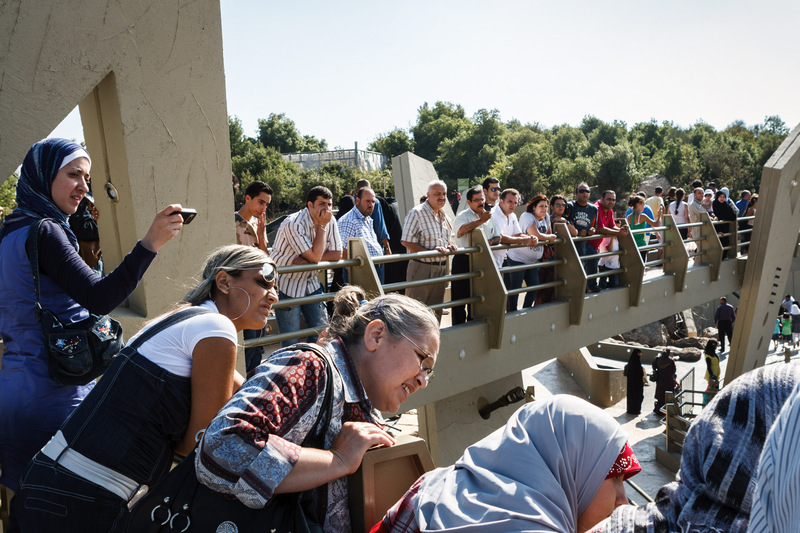 Visitors are taking a closer look at "The Abyss", the site's main attraction. 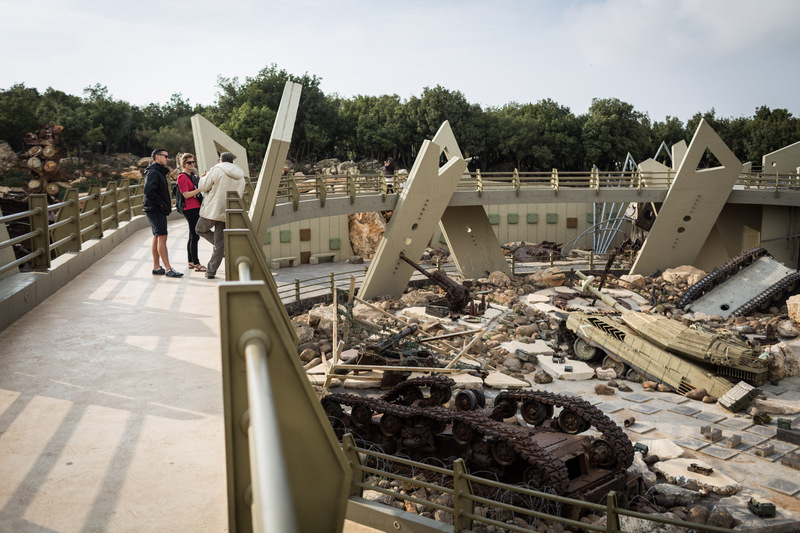 The Abyss features machinery like tanks and heavy vehicles collected from two wars with the Israeli army. Two foreign visitors are enjoying a tour with a museum guide next to "The Abyss". Guides are available in English, French, Persian, and of course in Arabic. 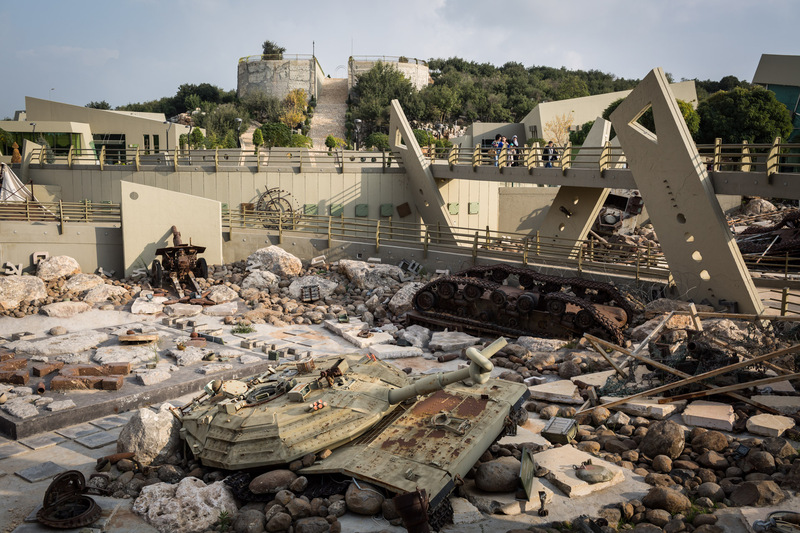 The Abyss' main exhibit is an Israeli Merkava tank, which was damaged by Hezbollah and abandoned by its crew in the 2006 war. A foreign visitor talks with a museum guide in front of an Israeli tank driving up against a yellow barrier featuring Hezbollah's secretary general Sayyed Hassan Nasrallah. 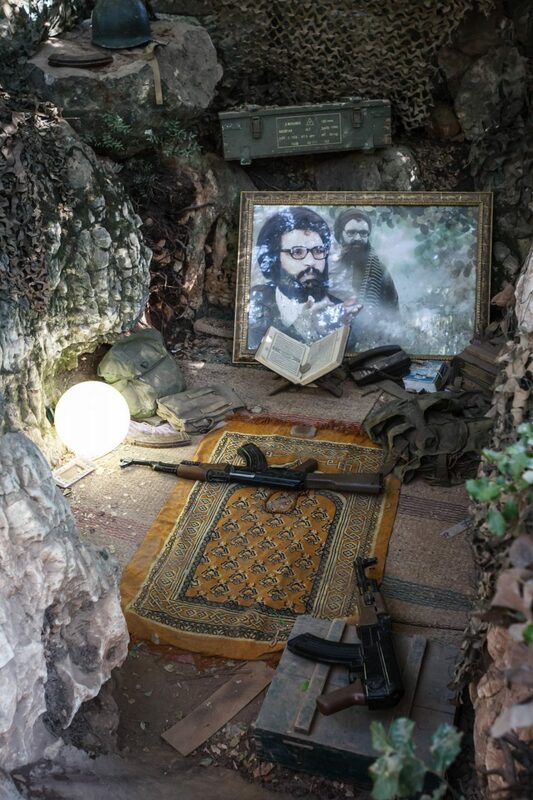 A trench that served as a place for worship is equipped with two Kalashnikov rifles and a portrait of former secretary general Abbas al Moussawi, who was assassinated by Israeli Defense Forces in 1982. 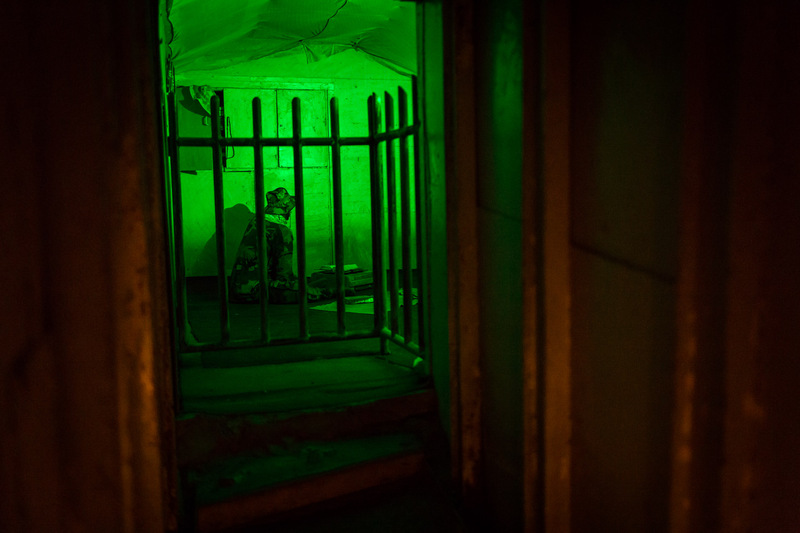 A puppet posing as a Hezbollah fighter in camouflage reads a Qu'ran within a bunker complex that enabled Hezbollah to hide from Israeli airforce and shelling for a long period of time. At this point of the tour, the visitor is left with a rather peculiar choice. 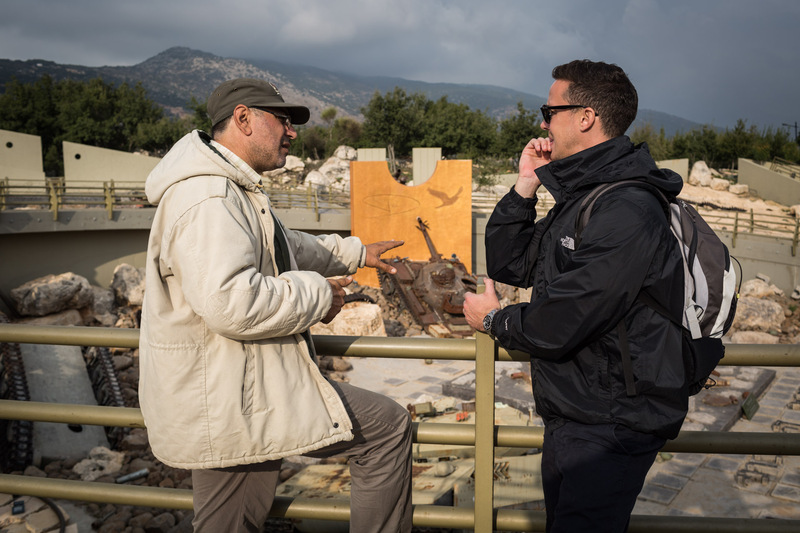 During the tour, Mleeta tries to set up a realistic scenario what the mountain used to look like in times of active conflict. 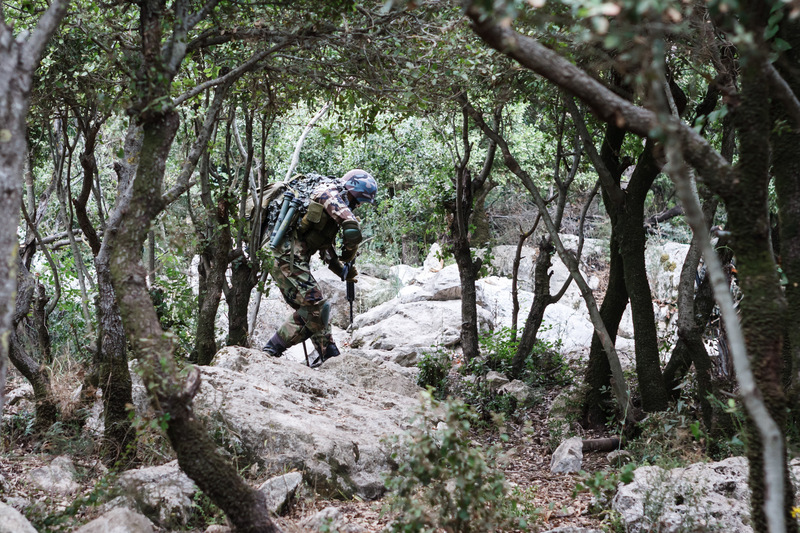 Here, a Hezbollah soldier can be spotted wandering in a forest. 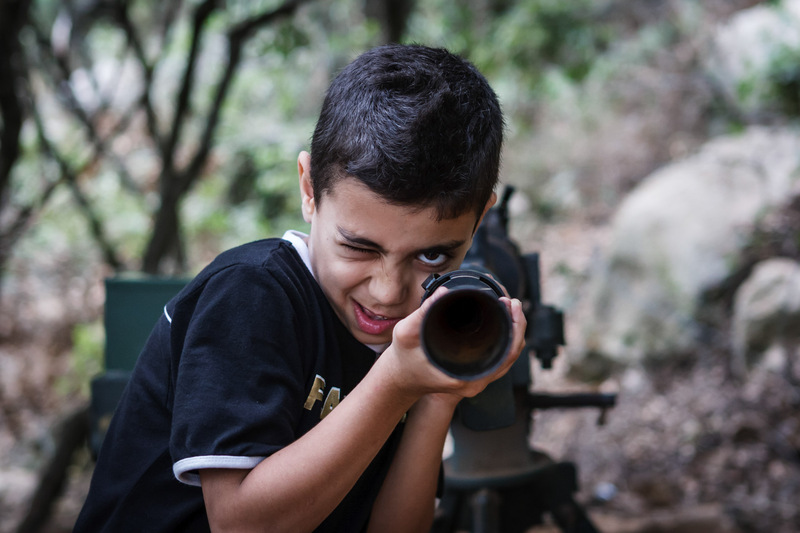 A young visitor of Mleeta takes aim with one of the exhibits. 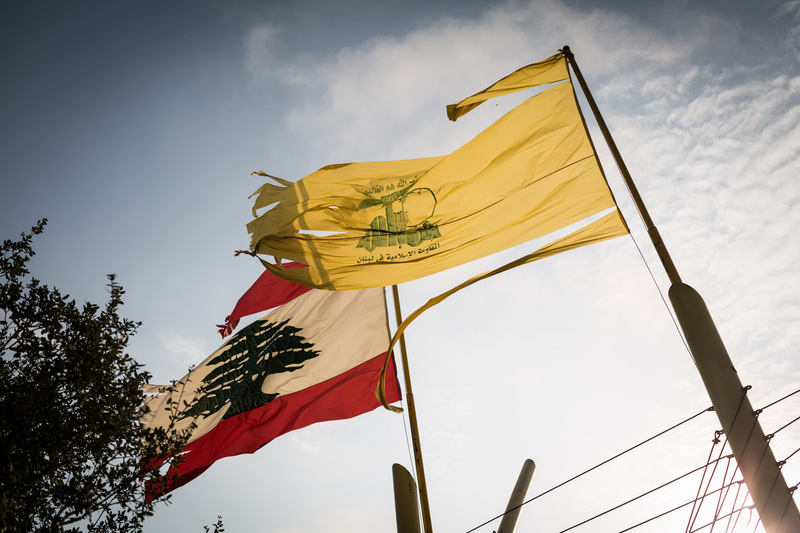 Not only Shiite, but all kinds of Lebanese people regard the Shia party Hezbollah as a vital guardian of Lebanon, having defended the south of the country twice. 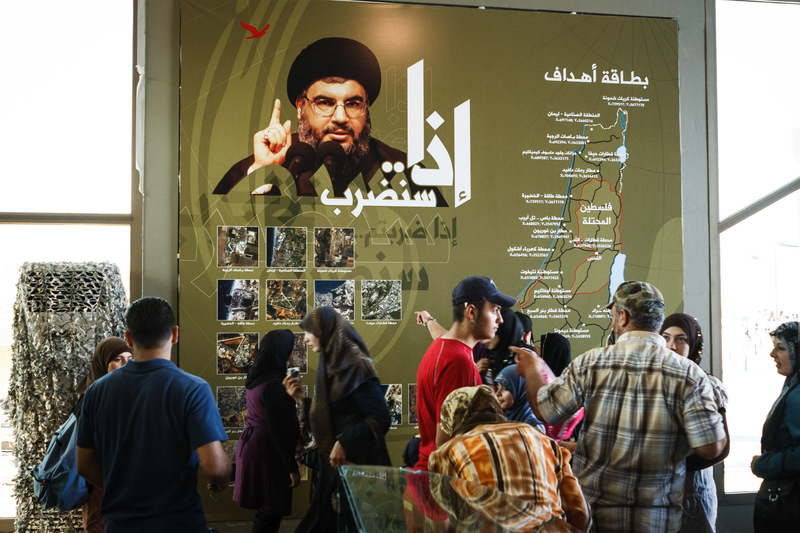 Secretary general of Hezbollah, Sayyed Hassan Nasrallah, looks at visitors inside the museum's main hall. The board explains, how and where in Israel the party would retaliate, if Israel would attack Lebanon once again. 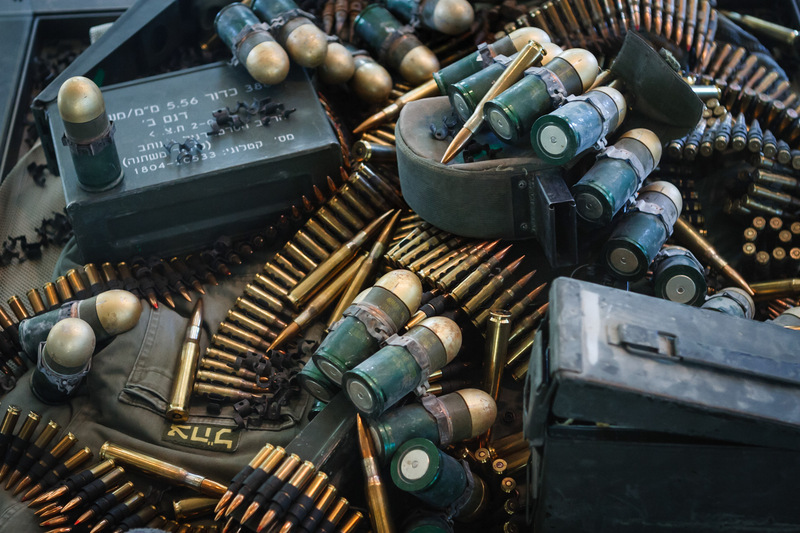 Ammunition collected from the 2006 July war with Israel is on display in the museum hall. The museum hall has been extended over the years since it was opened. Israeli spy equipment and several drones used by Hezbollah can be seen among others. 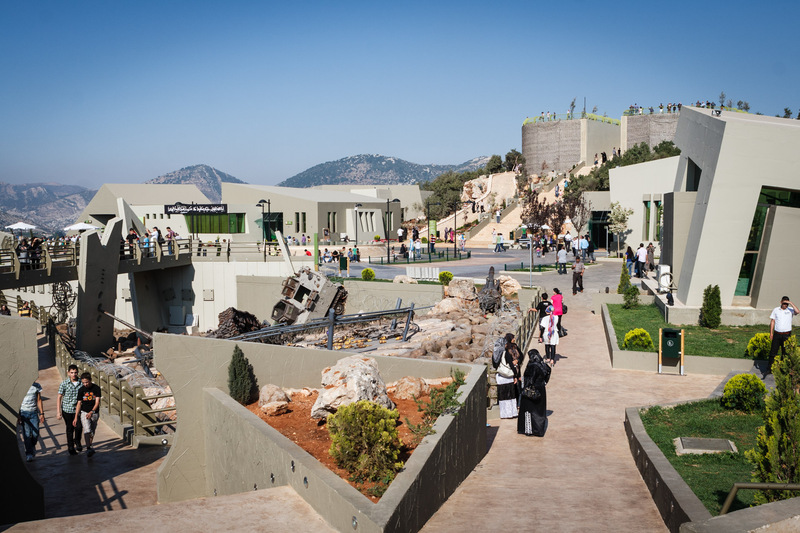 With Lebanon being short of infrastructure to spend leisure time, Mleeta's vast perimeter offers Lebanese people a welcome opportunity to spend free time. 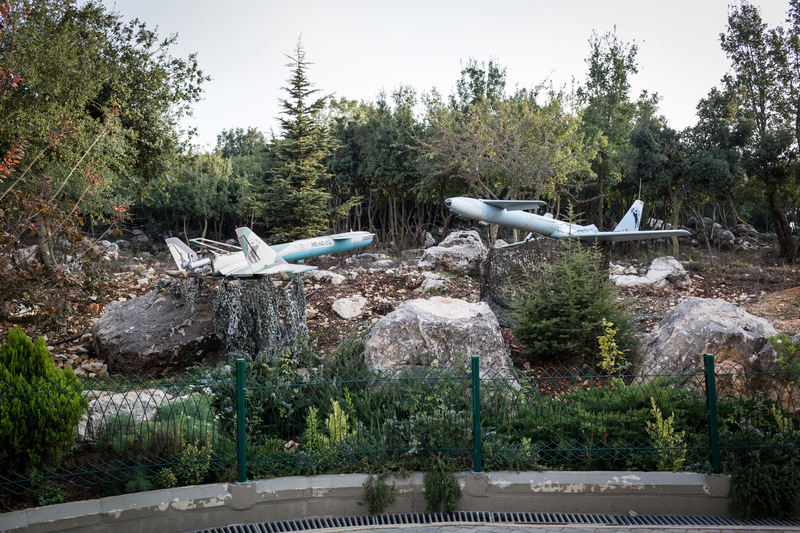 Two drones formerly operated by Hezbollah are on display in the outside compound of Mleeta. A foreign visitor reads a sign quoting Hezbollah's secretary general Hassan Nasrallah in Arabic and English. Like any other museum, Mleeta has a gift shop. 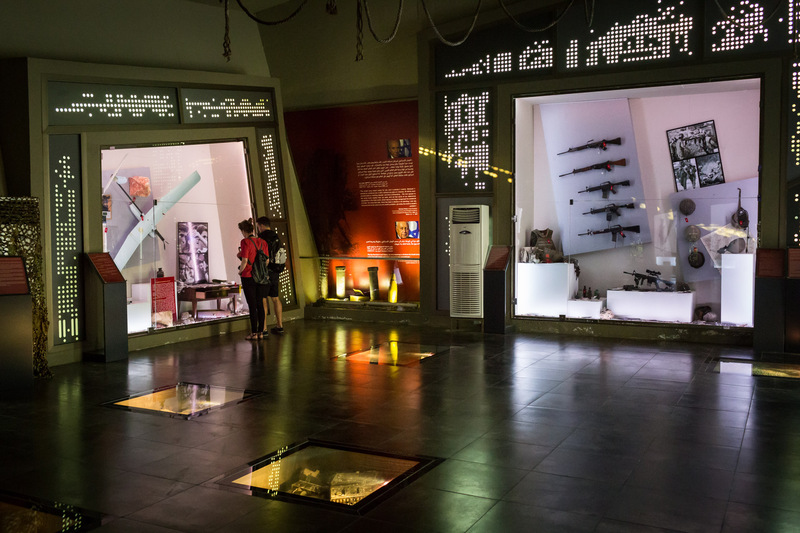 Unlike other museums, it offers souvenirs featuring logos and ideas from an organisation that is branded a terrorist organisation by most western countries. 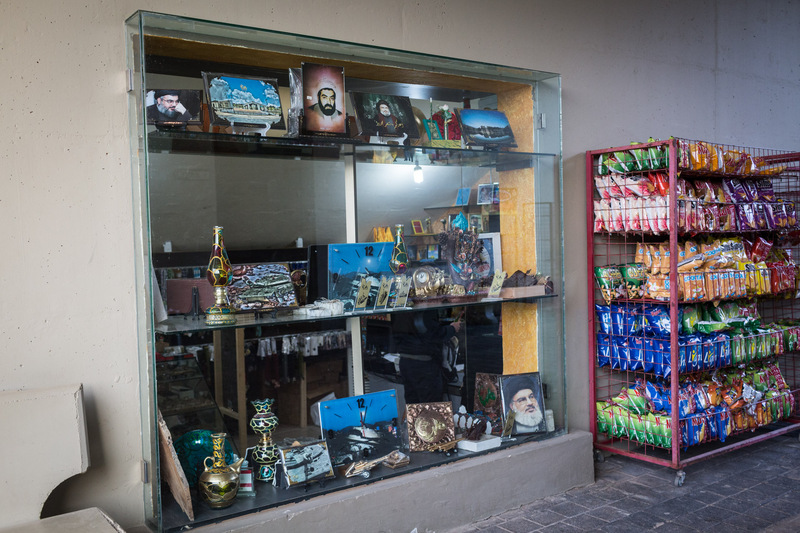 Images of Mleeta and Hezbollah's leader are found on several souvenirs next to a shelf offering snacks. 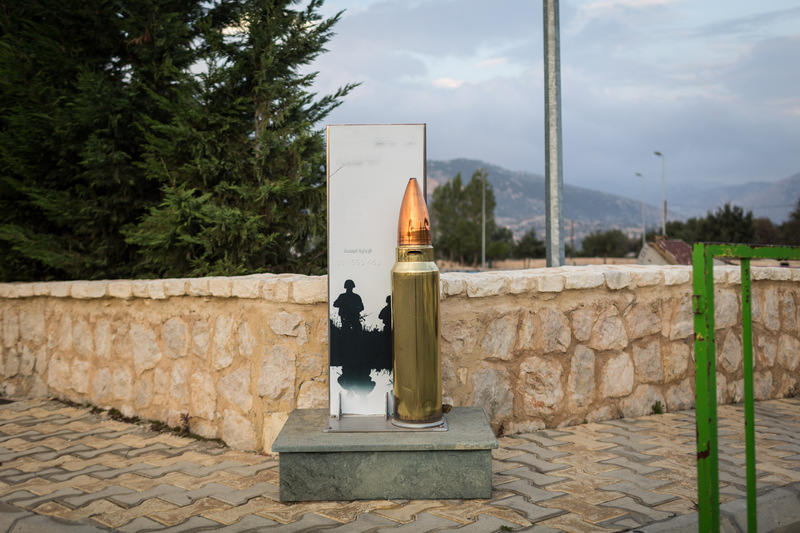 An enlarged copy of a rifle round serves as donation box for supporting the Islamic resistance. 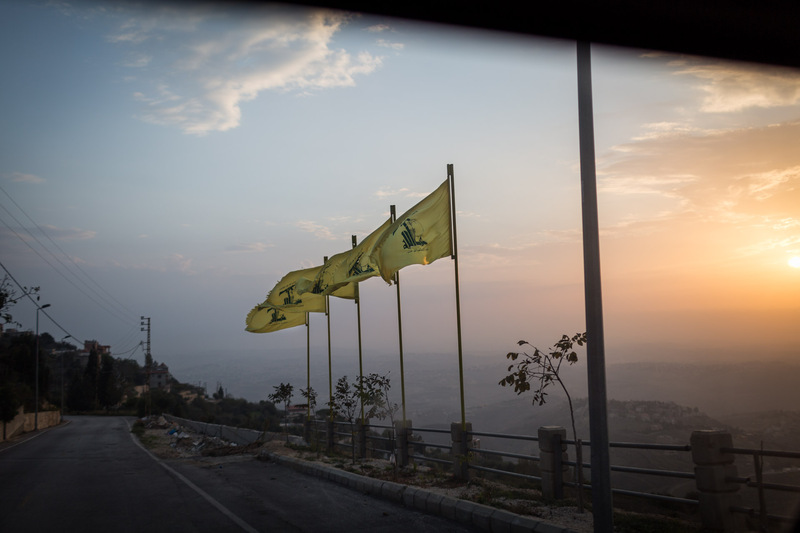 Flags of Hezbollah are waving during dusk on a road to Mleeta in Lebanon. 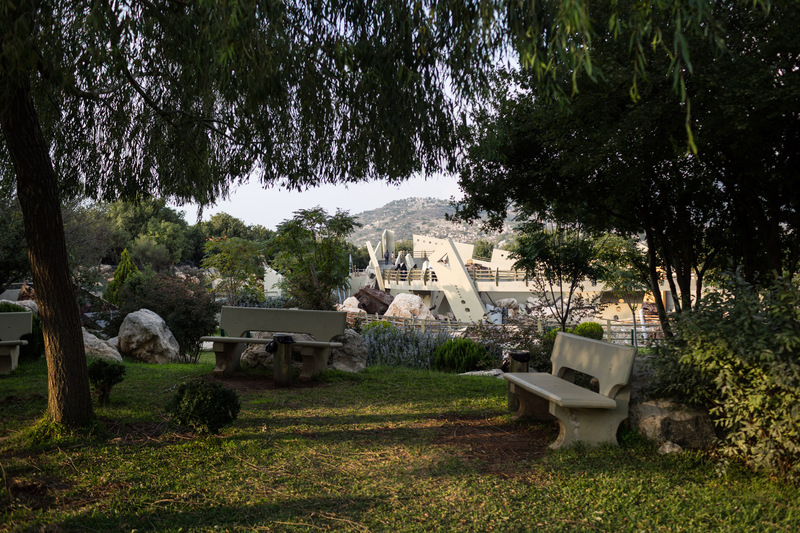 In the hills of south Lebanon, near the border to Israel, the Lebanese government seems all too far away. It is not the army, but the Shia party Hezbollah that is in charge of this part of the country. The party operates a considerable amount of Iranian-trained soldiers and many Lebanese from all confessions consider the Hezbollah as guardians of their country, having defended it twice against the Israeli Defense forces. 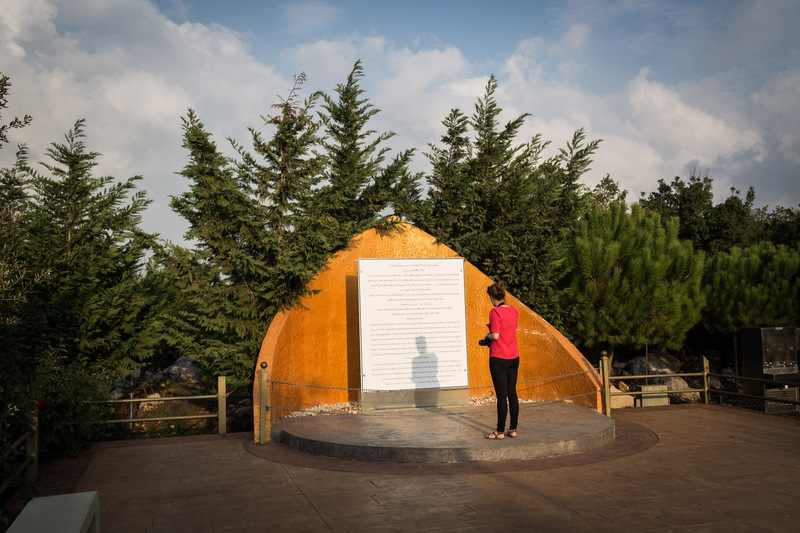 In order to honour their efforts and numerous martyrs, the organisation decided to set up both a memorial and museum to boost tourism and commemoration. 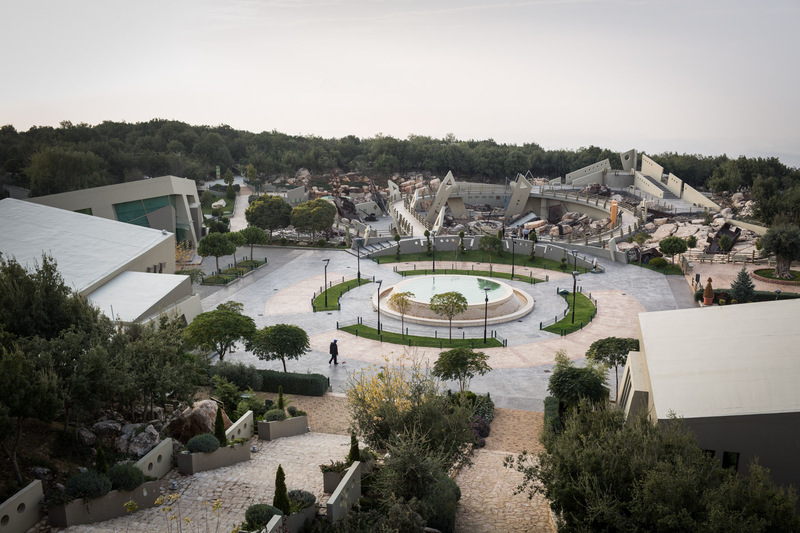 Also known as the “Tourist Landmark of the Resistance”, or “Museum for Resistance Tourism”, Mleeta doesn’t only serve as museum, but also as a communication platform and is supposed to grow into a full-size holiday resort with pools, restaurants and a hotel. Mleeta used to be an important forward operation base during the wars with Israel, and nowadays, where touristy infrastructure in Lebanon is rare and poor, the structure became quite popular as a weekend destination.